Radiesse is a dermal filler that is injected into the skin. It is composed of a water-based gel with calcium-based microspheres. Unlike many other dermal fillers Radiesse even stimulates natural collagen production in the body. What areas of the body does Radiesse treat? Radiesse is used to treat the face. It is most commonly used to improve the contours of the face by filling in lines, wrinkles, and folds. It can also reduce the appearance of sagging caused by age and restore a natural looking youthful appearance. Radiesse works by doing more than just filling in lines and wrinkles. Unlike other dermal fillers, Radiesse has been proven to stimulate natural collagen production in the body. This means that patients require fewer and less frequent touch up procedures to maintain their youthful appearance. While many dermal fillers require touch ups as frequently as every few months, most Radiesse patients need treatments once a year or less. Radiesse treatments are performed by a dermatologist or doctor in either the practitioner's office or in some instances a spa. 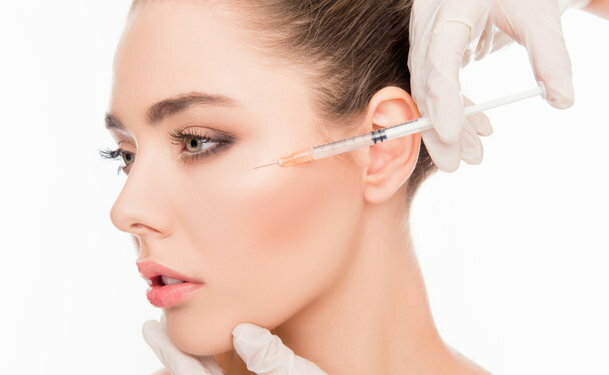 The injections are performed on an outpatient basis, and patients are able to return to regular day to day activities immediately after treatment. In some cases the doctor may apply a topical anesthetic prior to injection to reduce the mild pain some people experience during treatment. The whole procedure is minimally invasive and quick. In fact the whole procedure typically takes less than an hour. Due to the minimally invasive procedure, most Radiesse treatment recipients recover quickly, and they are able to resume daily activities immediately. Side effects are rare. When side effects do occur they are generally mild and clear up on their own in less than a week. There are very few risks associated with Radiesse because it is made from a substance that occurs naturally in the body. For this reason there is almost no risk of having an allergic reaction. Side effects are typically associated with the injection and include swelling, redness, itching, and pain. These side effects typically resolve themselves within a few days. Any severe or long lasting side effects should be reported to a medical professional immediately. What will the results of Radiesse be like? People who have received Radiesse injections have fuller, more youthful faces. Their skin is smoother and more contoured. Immediately after injection, folds and wrinkles will appear diminished and skin will look rejuvenated. Over time Radiesse will continue improving the condition of the skin by stimulating collagen production. Much of the skin's elasticity and volume will be restored over time. 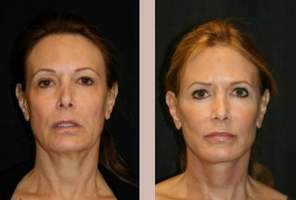 What are the advantages of Radiesse over other similar treatments? One of the main benefits of Radiesse over other dermal fillers is that the effects can be seen immediately. Patients do not have to wait for weeks or even months for the effects of the procedure to be apparent. Patients also will need fewer touch up treatments to maintain their new youthful appearance than they would need with similar treatments. Radiesse injections also look and feel natural even over time. Is Radiesse approved for use in the United States? Radiesse has been studied and tested for several years in the United States as well as around the world. The United States Food and Drug Administration (FDA) has approved Radiesse for use on the face as a dermal filler. Is Radiesse covered by health insurance? Most health insurance companies do not cover the cost of Radiesse injections because they are a cosmetic treatment. In some rare instances the injections may be considered medically necessary. In these instances some insurances will cover the cost. Radiesse typically costs $650 to $800 per syringe. Each patient requires a different number of syringes per treatment session, so costs can vary. Many practitioners offer flexible payment options if paying up front poses a financial difficulty. Could Radiesse Cause Impetigo or Cellulitis?